Design has built global brands, disrupted industries, and transformed our lives with technology. It has also contributed to the complex challenges we face today. In The Intergalactic Design Guide, business strategist and designer Cheryl Heller shows how social design can help address our most pressing challenges, from poverty to climate change. Social design offers a new approach to navigate uncertainty, increase creativity, strengthen relationships, and develop our capacity to collaborate. Innovative leaders like Paul Farmer, Oprah Winfrey, and Marshall Ganz have instinctively practiced social design for decades. Heller has worked with many of these pioneers, observing patterns in their methods and translating them into an approach that can bring new creative energy to any organization. From disrupting the notion of “expert” by seeking meaningful input from many voices to guiding progress through open-ended questions instead of five-year plans, social design changes how humans relate to each other, with powerful positive impacts. The Intergalactic Design Guide explains eleven common principles, a step-by-step process, and the essential skills for successful social design. Nine in-depth examples—from the CEO of the largest carpet manufacturer in the world to a young entrepreneur with a passion for reducing food waste—illustrate the social design process in action. Social design is a new kind of creative leadership that generates both traditional and social value, and can change the way we all view our work. Whether you are launching a start-up or managing a global NGO, The Intergalactic Design Guide provides both inspiration and practical steps for designing a more resilient and fulfilling future. "The Intergalactic Design Guide is a call for entries to design our way out of the civilization we have created, by using our collective creativity to change the human condition. Readers will come away transformed by the realization that we can use the invisible forces of social design to create a future where we live in a state of mutuality with one another and nature. This is one of the most critical design books of our time." "This book fills the cavernous gap between our awareness and understanding of 'design thinking' and 'design doing.' The first truly useful guide for those of us working to have impact, it shares numerous case studies of people and organizations that have transformed reality by combining the skills of thinking and acting in a design context. An absolute must-read for all of us looking to change the world in our own special ways!" "There are design problems and there are human problems. Cheryl Heller's genius is to see them as one and the same with the goal of building human capacity, not just buildings. This is the framework for designing the design process." Designer and business strategist Cheryl Heller, author of The Intergalactic Design Guide, talks with designer Rosanne Haggerty about how social design can help address our most pressing challenges, from poverty to climate change. Design has built global brands, disrupted industries, and transformed our lives with technology. It has also contributed to the complex challenges we face today. Social design is a new kind of leadership. Cheryl and Rosanne discuss some innovative approaches for increasing creativity, strengthening relationships, and developing our capacity to collaborate—with the potential to transform everything from corporations to cities and to design ourselves for change. 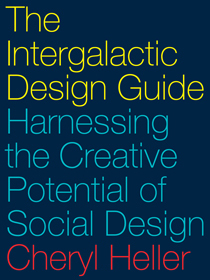 From start-ups to global NGOs, The Intergalactic Design Guide provides both inspiration and practical steps for designing a more resilient and fulfilling future. Thought leader David Orr wrote, “If our industrial civilization was entered into an intergalactic design competition, it would be tossed out in the qualifying round.” This book points the way for us to change how we relate to our world, and to each other. Join us on Friday, October 26 from 6 - 8 pm at The SVA Gramercy Gallery. 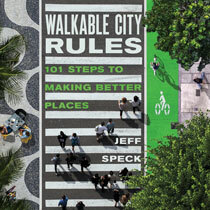 This event, for Jeff Speck's Walkable City Rules is free to attend with no reservation required. Seating is available on a first come, first served basis. Saturday, November 3, 2018 - 6 p.m. to 7 p.m.
How can the power of design be harnessed to address pressing challenges such as poverty and climate change? Designer and strategist Cheryl Heller will discuss social design , a new approach to navigating uncertainty and strengthening collaboration. She’ll share the principles and process of social design as well as case studies. Join author and designer Cheryl Heller in a 90-minute webinar, co-sponsored by Security & Sustainability Forum and Island Press, to explore the principles of social design and how to apply them to vexing societal challenges. In this webinar, Cheryl Heller, Founding Chair of the Design for Social Innovation MFA program at the School of Visual Arts in Manhattan and President of the design lab CommonWise, along with Anne LaFond, Director of the John Snow, Inc. Center for Health Information, Monitoring and Evaluation (CHIME), will present an overview of what Social Design is and how it works. For the first time, Cheryl and Anne will share learning from research supported by the Robert Wood Johnson Foundation on how leading practitioners of social design are measuring the effectiveness of their work. Q&A will follow the presentation. Participation and specific questions for your organization’s needs are encouraged. Click here to download an annotated table of contents or read it below. In the latest episode in our series of Urban Resilience Project (URP) podcasts in partnership with Infinite Earth Radio, host Mike Hancox speaks with Cheryl Heller about The Intergalactic Design Guide, her new book on the power and practice of social design. A Changing Climate Means A Changing Society. The Island Press Urban Resilience Project, Supported By The Kresge Foundation And The JPB Foundation, Is Committed To A Greener, Fairer Future.​ This Op-Ed Was Originally Published March 13, 2019 in TheCityFix. Now, they are the new frontier of design. Traditional design rearranges physical or digital materials: cars, iPhones, couches, algorithms. Social design is the application of the design process to social infrastructure, to the relationships that keep us alive. The Buffalo Niagara Medical Campus (BNMC) in Buffalo, New York, is one example of how social design is changing how we build and conceive of cities. BNMC is an “anchor institution”: an organization, typically medical, educational or government, with permanent ties to a location and the capacity to contribute to it as an employer and an attraction for other businesses and workers. Cities build whole neighborhoods, business districts and transport plans around anchor institutions. For the most part, the contributions of anchor institutions are measured in economic terms – for example, millions of dollars spent with local businesses. What makes BNMC unique is that instead of defining its objectives on the basis of its own institutional needs and what its operations can contribute, it has involved the community in creating its vision and goals. Buffalo ranks third in the United States for the number of people living below the poverty line. For the residents of its poor neighborhoods, that means no jobs, high crime and very little access to healthy food. Like most American “rust belt” cities, the downtown had been abandoned by those who could afford to leave for the suburbs. Since its creation in 2001 by a local consortium of medical institutions, BNMC has createdmore than 3,000 new jobs and built an innovation center that currently houses 75 start-up companies. So far, BNMC has attracted $1.4 billion in investments to Buffalo. Dozens of programs have also been co-created by BNMC and the community. 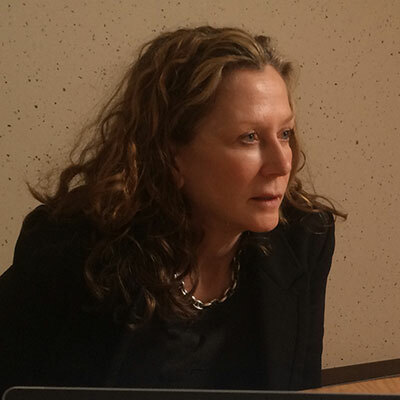 Cheryl Heller is the Founding Chair of the first MFA program in Design for Social Innovation at SVA and President of the design lab CommonWise. As a strategist, she has helped grow businesses from small regional enterprises to multi-billion global market leaders, launched category-redefining divisions and products, reinvigorated moribund cultures, and designed strategies for hundreds of successful entrepreneurs.